Gemstone world is very vast and there are various shapes and cut of gemstones, but the difference is not always specific. We have often heard about cushion cut. It refers to the cut, but the word ‘cushion’ is a shape term, which means shaped like a cushion or a pillow. The same shape goes for the ‘pear’, it seems obvious that it’s a shape, so why it is called as ‘pear-cut’ when we refer to a gemstone in pear? It is sometimes confusing — may be trying to differentiate between gemstone shape and gemstone cut isn’t such a good idea after all. If we consider round gemstones, there are different varieties of round gemstones; some cut as cabochons, with no facets at all. Some we can find with no facets at all. Some are cut with a traditional faceting technique, or with so named as ‘brilliant’ diamond-cut. Therefore we have one shape, round and multiple facets shape. Though sometimes phrase ‘round cut’ is used, it is quite obvious that this phrase doesn’t make lot of sense when it comes to an accurate description. The meaning of the concept of shape is fairly obvious. A shape is the outline form of the stone, whether it can be square, oval, rectangular, round, pear or marquise. At the simplest level, we can differentiate the plain cut from the faceted cut. A plain cut has no facets, and it may be executed as a level tablet or with a dome top like cabochon. In the faceted cut, we can see number of separate planes. There are also mixed cut which combine the two; for example, a gem with a faceted pavilion and a plain crown. There are lots of different facet styles and they can be distinguished according to the shape of the facets. These are of 3 basic types; brilliant cuts with many rhomboidal and triangular facets; step cuts with trapezoid or rectangular facets in concentric rows and mixed cuts, which combine both brilliant and step-cut type facets. Detailed description of the various facets cuts can get quite complicated and technical too, even for those in the gem and jewelry trade. Gemstones are the natural gift of God. 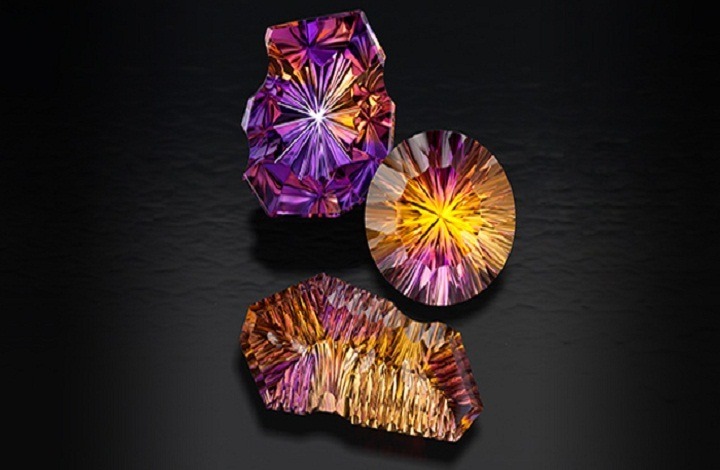 If we are analyzing any gemstone then we should properly analyze the quality, cut, color and clarity of the gemstone. We can find various gemstones in the market with various shapes. To pick and to choose is solely ours choice.